Sally is a Lecturer in Mental Health Nursing and also a researcher specialising in recovery-focused mental health. She joined City University London in 2013, moving from Yorkshire where she previously worked at the University of Bradford as a Lecturer in Mental Health Nursing. Sally initially worked and studied at Trinity College Dublin where she completed a PhD in Behavioural Neuroscience. Her key interest at doctoral level was the pathophysiology of depression and anxiety and approaches to ameliorating symptoms. After working at a molecular level 'at the bench' she made the move to healthcare research 'to the bedside'Her first healthcare research position was based at Bradford University working on body image disturbances as a consequence of lymphoedema secondary to cancer. Following this she was appointed as a Lecturer in Mental Health Nursing where she taught diverse subject areas such as pathophysiology, research skills and acute mental health care. She is now teaches biology, research methods and contemporary issues in mental health. Her main area of research has focused on mental health and is now specifically focused on recovery-focused mental health and collaborative care. 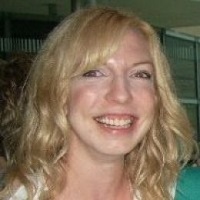 Sally is currently a full time researcher working on an NIHR funded study -COCAPP - Collaborative Care Planning Project. This research is a cross-national comparative study of recovery-focused mental health care planning and coordination. She would like to continue developing research within the area of mental health and positive wellbeing. Her interests are diverse and she would like to use her expertise in depression, anxiety and body image in future research avenues. She is also interested in developing further skills in neuroimaging in particular those aligned with clinical studies. In addition, she is keen to undertake systematic reviews with allied researchers who have an interest in examining and evaluating primary research in order to advance current healthcare practice. Thesis title: What are the effects of Hypertrophic Cardiomyopathy on depression and quality of life? Coffey, M., Hannigan, B., Barlow, S., Cartwright, M., Cohen, R., Faulkner, A. … Simpson, A. (2019). Recovery-focused mental health care planning and co-ordination in acute inpatient mental health settings: a cross national comparative mixed methods study. BMC Psychiatry, 19(1). doi:10.1186/s12888-019-2094-7 . Flood, C., Barlow, S., Simpson, A., Burls, A., Price, A., Cartwright, M. … Brini, S. (2018). What utility scores do mental health service users, healthcare professionals and members of the general public attribute to different health states? A co-produced mixed methods online survey. PLoS ONE, 13(10). doi:10.1371/journal.pone.0205223 . Hannigan, B., Simpson, A., Coffey, M., Barlow, S. and Jones, A. (2018). Care coordination as imagined, care coordination as done: Findings from a cross-national mental health systems study. International Journal of Integrated Care, 18(3). doi:10.5334/ijic.3978 . Barlow, S., Fahey, B., Smith, K., Passecker, J., Della-Chiesa, A., Hok, V. … O'Mara, S. (2018). Deficits in temporal order memory induced by interferon-alpha (IFN-α) treatment are rescued by aerobic exercise. Brain Research Bulletin, (140), pp. 212–219. doi:10.1016/j.brainresbull.2018.05.012 . Simpson, A., Coffey, M., Hannigan, B., Barlow, S., Cohen, R., Jones, A. … Marlowe, K. (2017). Cross-national mixed-methods comparative case study of recovery-focused mental health care planning and co-ordination in acute inpatient mental health settings (COCAPP-A). Health Services and Delivery Research, 5(26), pp. 1–234. doi:10.3310/hsdr05260 . Coffey, M., Cohen, R., Faulkner, A., Hannigan, B., Simpson, A. and Barlow, S. (2017). Ordinary risks and accepted fictions: how contrasting and competing priorities work in risk assessment and mental health care planning. Health Expectations, 20(3), pp. 471–483. doi:10.1111/hex.12474 . Simpson, A., Hannigan, B., Coffey, M., Barlow, S., Cohen, R., Jones, A. … Cartwright, M. (2016). Recovery-focused care planning and coordination in England and Wales: A cross-national mixed methods comparative case study. BMC Psychiatry, 16(1). doi:10.1186/s12888-016-0858-x . Simpson, A., Hannigan, B., Coffey, M., Jones, A., Barlow, S., Cohen, R. … Faulkner, A. (2016). Cross-national comparative mixed-methods case study of recovery-focused mental health care planning and co-ordination: Collaborative Care Planning Project (COCAPP). Health Services and Delivery Research, 4(5), pp. 1–190. doi:10.3310/hsdr04050 . Simpson, A., Hannigan, B., Coffey, M., Jones, A., Barlow, S., Cohen, R. … Haddad, M. (2015). Study protocol: Cross-national comparative case study of recovery-focused mental health care planning and coordination (COCAPP). BMC Psychiatry, 15(1). doi:10.1186/s12888-015-0538-2 . Passecker, J., Barlow, S. and O'Mara, S.M. (2014). Dissociating effects of acute photic stress on spatial, episodic-like and working memory in the rat. Behavioural Brain Research, 272, pp. 218–225. doi:10.1016/j.bbr.2014.07.007 . Barlow, S., Dixey, R., Todd, J., Taylor, V., Carney, S. and Newell, R. (2014). 'Abandoned by medicine'? A qualitative study of women's experiences with lymphoedema secondary to cancer, and the implications for care. Primary health care research & development, 15(4), pp. 452–463. doi:10.1017/S1463423613000406 . Simpson, A., Jones, J., Barlow, S. and Cox, L. (2014). Adding SUGAR: Service user and carer collaboration in mental health nursing research. Journal of Psychosocial Nursing and Mental Health Services, 52(1). doi:10.3928/02793695-20131126-04 . Wang, B.W., Hok, V., Della-Chiesa, A., Callaghan, C., Barlow, S., Tsanov, M. … O'Mara, S.M. (2012). Rosiglitazone enhances learning, place cell activity, and synaptic plasticity in middle-aged rats. Neurobiology of Aging, 33(4), pp. 835–835. doi:10.1016/j.neurobiolaging.2011.08.013 . Tsanov, M., Lyons, D.G., Barlow, S., González Reyes, R.E. and O'Mara, S.M. (2010). The psychostimulant modafinil facilitates water maze performance and augments synaptic potentiation in dentate gyrus. Neuropharmacology, 59(1-2), pp. 9–19. doi:10.1016/j.neuropharm.2010.03.010 . Fahey, B., Barlow, S., Day, J.S. and O'Mara, S.M. (2008). Interferon-alpha-induced deficits in novel object recognition are rescued by chronic exercise. Physiol Behav, 95((1-2)), pp. 125–129. doi:10.1016/j.physbeh.2008.05.008 . NMM056 Promoting Child and Adolescent Psychological Development, 2014-2015. Peer review of submitted journals, Editorial board membership - British Journal of Psychiatry Bulletin, Sep 2015 – present. NIHR Public Health Research Grants Programme. 21st International Network for Psychiatric Nursing Research (NPNR). (Conference) Manchester (2015). Paper: Paper 3 (Part of a COCAPP Symposium): What do ‘recovery’ and ‘personalisation’ mean? Perspectives of managers, practitioners, service users and carers? 20th International Network for Psychiatric Nursing Research (NPNR). Warwick Conference Centre. (Conference) University of Warwick, Coventry (2014). 20th International Network for Psychiatric Nursing Research (NPNR). (Conference) University of Warwick, Coventry (2014). Paper: Working Collaboratively with Service User Researchers – COCAPP study. Co-authors: Barlow S, Mair BR, Hannigan B, Coffey M, Jones A, Faulkner A, Egbunike J, Hindle D, Barrett K, Tear J & Simpson A. 19th International Network for Psychiatric Nursing Research (NPNR). (Conference) University of Warwick, Coventry (2013). Service user research into social difficulties and appearance concerns in lymphoedema secondary to cancer. Bristol, UK (2012). Description: Barlow S, Todd J, Taylor V, Dixey R, Carney S, Newell R (2012), Appearance Matters 5, Bristol, oral presentation. Analysis of neuropsychiatric side-effects of Interferon-alpha-therapy in Wistar rats. Geneva, Switzerland (2008). Description: Barlow S, Passecker J, Della Chiesa A, Wang Boon W, O'Mara S.M. (2008), Federation of European Neurosciences (FENS), poster presentation. The impact of age and stress on the performance of Episodic-like memory task in Wistar rats. Geneva, Switzerland (2008). Description: Passecker J, Barlow S, O'Mara S.M. (2008), Federation of European Neurosciences (FENS), poster presentation. Persistence of Interferon-alpha induced deficits in Temporal-Order Memory in Wistar Rats after Cessation of Treatment. 39th European Brain Behaviour Society annual general meeting, Trieste, Italy (2007). Analysis of Deficits in Temporal Order Memory in Wistar rats using prior Behavioural Stress and interferon-alpha therapy. Neuroscience Ireland Inaugural Conference, University College Cork (UCC) (2006). Deficits in Temporal Memory for Serial-order Object Learning induced by prior Behavioural Stress. Federation of European Neurosciences (FENS), Vienna (2006). Cognitive Profile of Elderly Patients with poor safety awareness attending a day hospital. Cognitive Neuroscience Society, San Francisco (2006). Prevalence of Poor Safety awareness in older patients attending a day hospital. Irish Gerontological Society (IGS), University College Dublin (UCD) (2005). Tight regulation of AADC and GFP expression from AAV vectors harbouring a tetracycline (TET)-ON regulated promoter. American Society for Gene Therapy (ASGT), Washington D.C (2003). Quantitative assays of humanised green fluorescent protein (hGFP) expression from recombinant “tetracycline (tet) on” adeno-associated vectors (rAAV). Society for Neuroscience (2003).